It's a measure of just how much AMD has caught up with NVIDIA that in order to spoil the launch of the new ATI Radeon HD 4890, the big green company brought forward the launch of its own new graphics card by over a week. In the old days of underperforming AMD GPUs it just wouldn't have bothered, now it feels the need to compete again. Which is all good for us as this competition has meant that the bog-standard GTX 275 is being listed for just £200; for a powerful, mid-range graphics card that's the real sweet spot in terms of price. Just how long NVIDIA can keep up with AMD on the price front is difficult to say, as it is surely going to struggle to make any money on such big chips as the GT200 when they're priced so low. Margins are already paper-thin and NVIDIA is having to keep its prices incredibly low to keep up with the red side of the graphics divide. That said, this overclocked version of the GTX 275 from Zotac (the Zotac GTX 275 AMP!) is sitting well above that at £253. It's still got the standard 896MB GDDR3 from the GTX 260, rocking on a 448-bit memory bus, but the shader, GPU and memory clocks have all been increased a decent amount. This new take on the GT200 then is a bit of an overclocking dark horse. For these overclocked cards, it's fairly normal for a company to pick the most stable GPUs, so the stock-clocked cards may not be capable of such extremes. But it's definitely not going to be unlikely for the home tweaker to be able to get at least close to these figures. So what does that mean in performance terms then? 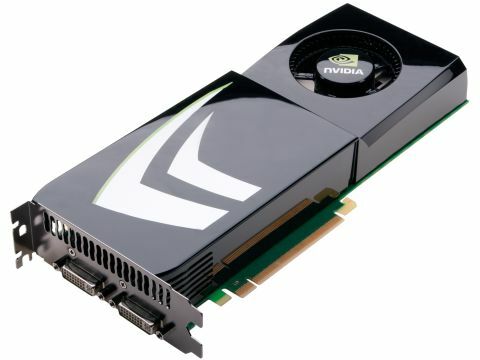 Well, it means that this version of the GTX 275 effectively puts NVIDIA's GTX 285, hitherto the fastest single GPU card available, out to pasture. The numbers are so close as to make the purchase of what is effectively a card that costs around £100 more quite simply crazy. There are a few points where the lower ROPS, memory count and bus width comes into play at the very high end of the resolution spectrum, but even then it's only a matter of a few frames per second. This is then a very timely release for NVIDIA as it has completely stolen the thunder from AMD's Radeon HD 4890, a card that in itself has shown some fairly impressive overclocking potential. They can both get very similar score with a bit of tweaking and price-wise they are very close, so there is then surely very little to choose between them. Until now we'd considered the benefits of CUDA and PhysX capabilities on the NVIDIA GPUs fairly irrelevant, but with these two new cards being so close in performance terms you'd have to give the win to the card that offers you more. And the GTX 275 most certainly does that.